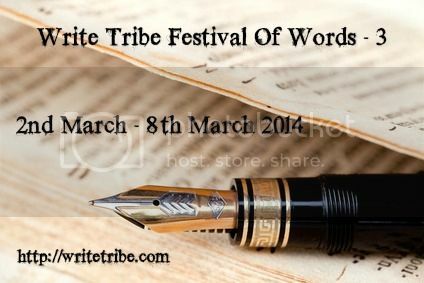 Today, as part of Write Tribe’s Festival of Words, I will be showcasing four blogs that inspire me, motivate me to write well, make me laugh and keep me grounded. So, here they are. Spare the time to go over and read a few posts. You will not regret it, I guarantee you. The first blog I choose to showcase today is one that I turn to, when I am down and out, on this road called parenting. She writes from the heart, is open about her flaws and welcomes feedback. Her story is an inspiration to many parents around the world, who would not have admitted to yelling at their kids. If you have a ‘Yelling Less’ journey to start, look no further than the Orange Rhino. Follow her tips, subscribe to her updates and join the growing community of grateful parents everywhere. Michelle Longo writes well and writes from the heart. Her blog has a variety of topics and what draws me back to her blog is her candour. She is one of the editors over at the fabulous Yeah Write community, a group that helps bloggers become better writers. Michelle is currently working on her memoirs, something I am really waiting to read! Her blog motivates me to write well and keep working on my writing. You know those days when you feel depressed and in the mood for a pick-me-up? Not the alcoholic kind, although I’m guessing that works for a lot of people 😉 Me, I need laughter to get me out of the dumps. And I find that a-plenty in Jen’s blog. I found Jen through NaBloPoMo and boy, am I glad I did! She is funny, unreserved, self- satirical and just a whole lot of joy. Any post, and I mean any post, of hers will make you feel good on a really bad day. Don’t take my word for it. Head over and look her up! Her blog makes me laugh. As a parent blogger, it is very easy to get sucked into complacency and comfort. It is also easy to look at the rosy side of life and be carried away at times. And, in my early blogging days, I am guilty of having done that. I would like to believe that I have evolved as a parent blogger and moved to appreciating every aspect of motherhood- the highs and the lows, the struggles and the triumphs, the laughter and the tears. Cynk is a blogger who writes passionately and incredibly well about bringing up her lovely, autistic child, Philip. You will visit her blog to read one post and cannot resist from reading another, and another and yet another. That is the allure of her writing- simple, heartfelt and powerful. Her blog keeps me grounded. Thank you all, for being in my life, in more ways than you can imagine! So, which blogs do you love? What bloggers have touched your heart? Link it to today’s genre over at Write Tribe. I haven't read any of these Shailaja, hope to read them soon. They all seem to be great blogs…will will be hopping over to their space soon 🙂 Thanks for sharing! like Bhagyashree, I too havent noted these blogs earlier.. thats the beauty of todays prompt. It gives us all someone new to read.. So sweet. Looking forward to visiting your fab four! I love how much we receive when we choose to reach out. The best part of blogging is the friendship. Imagine having fun as we grow! Thank you for guiding me to the blogs that fascinated you.Will go through them in leisure. Orange Rhino's my favourite too. Cynk and Jen sound good too. Will check out all in fact. Thanks for sharing your favourite four. Thanks for the lovely share. I've visited so many new blogs today! Checked the Orange Rhino. This blog is good for parents. But Sips of Jen and Tonic is hilarious and admire the candour of the writer. I visit Cynk's blog regularly and she's a fine blogger. Thanks for introducing us to the others too! Thank you so much for including me in your list and for your kind words. Cynk, you deserve all this and more. You are one of my favourite bloggers! You make all of them sound so cool, and I'm sure they are too. Orange Rhino is on Tulika's list too! They sound so interesting!! I haven't read them before and I hope to now!